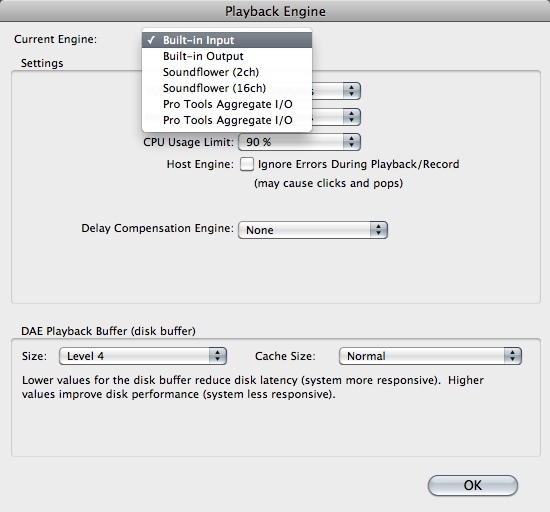 Scott Troyer » Blog » FIX: Pro Tools hardware is either not installed or used by another program. 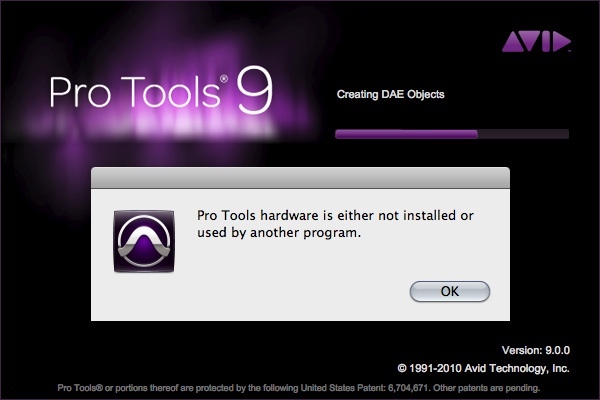 Since installing ProTools 9, my MacBook can’t find my Mbox 2 Pro at all. I tried the “N” fix you so kindly mention above, but the Mbox was not available as an engine. In System Prefs, the Mbox 2 Pro preference pane cannot find it, nor can Audio & Midi setup. System Profiler does see it, however, under the Firewire tab. Any further idears? Thanks a million. Nailed it! I found I also had to change it from using 2 processors to 1 processor and that seemed to make the difference. Cheers! I just installed Pro Tools First on Windows 10, I know nothing about this, this is my frist time trying Pro Tools and I’ve been having this issue, I tried the “N” and it doesn’t work, It just immediately tells me:”Before you get started, you will be directed to Playback Engine. Please make sure the proper audio playback device is selected”. – Input Device: Mi Microphone. – Output Device: My Speakers. – Default Output: No options available. – Sample Rate: Nothing available. I hit okay and then:”Pro Tools First hardware is either not installed or used by another program”. Ruben, I’m not familiar with the Pro Tools First version you’re using. It looks to be like a beginners version of the software, which may mean that some things are very different in that version compared to the regular versions of PT. From what you describe, it sounds like holding “N” on start up *is* working correctly. Holding “N” forces PT to prompt you for Playback Engine information. From what you have listed under Playback Engine, you don’t have an interface or it isn’t being recognized. But like I said, I’m not sure what your version of PT is like. Sorry. A friend came to the rescue and solved the problem, so everything is fine now, thank you very much for your time anyways. Ruben, I’m having the same issue! Could you let me know what your solution was please? This is why I just use Acid or Audition. I just wanted to edit some audio files that have ptx projects associated. But the stupid program won’t launch. It’s like it’s strictly designed for live recording and not audio mastering. Ruben, what was your solution to fixing your problem? I have the same problem you had!